Calling Photographers of All Genres & Backgrounds: Have your work seen by Kodak, Polaroid & Monocle Magazine. $100,000 in awards & a reception at the International Center of Photography. 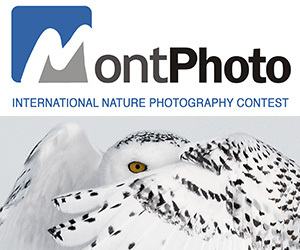 Photographers Wanted World Wide Open Call for Photography. You are invited to share your images with the world for a shot at life-changing awards. To celebrate the power of the image, in the fifth annual EXPOSURE competition we’re offering over $100,000 in awards to inspired photographers like you. Your photography holds power. Share your images with the world for a shot at life-changing awards. 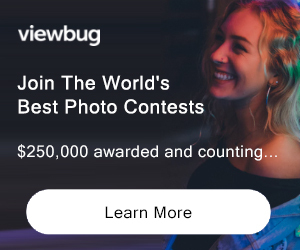 Photographers of all levels and styles are invited to participate for over $100,000 in awards, including a world-class New York City exhibition and including a luxury stay at the W Hotel. All participants will be featured in an online exhibition seen by millions. See.Me is a community of artists, musicians, photographers, designers and creative enthusiasts who are collaborating, connecting and celebrating their work with an audience of millions. We started as a modest side-project in 2008 under the name Artists Wanted. Since then we have hosted dozens of shows and exhibitions, displayed the work of tens of thousands of artists and have distributed over $1.5 million dollars worth of cash grants and other awards. It’s time to celebrate the power of your images. Plus be eligible for for over $37,500 in cash grants. 9 VOTES: Inclusion in a Public Browsing Page. 25 VOTES: A Special Feature on Our Facebook Page. 100 VOTES: Inclusion in a Digital Display Traveling All Over the World. 500 VOTES: Special Promotion on the Global Browsing Page and in the Traveling Digital Display. Portfolio Review with Our Distinguished Panel of Jurors ELIGIBILITY: International / 18+ Not eligible to enter? - Find contest where you are. COPYRIGHT: Each portfolio must be the original work of the entrant, and entrant must be the sole owner of the copyright of such entry. All entries must not contain material that violates or infringes another's rights, including, but not limited to, privacy, publicity or intellectual property rights, or that constitutes copyright infringement. USAGE RIGHTS: By submitting an entry, entrant grants See.Me and its designees an irrevocable, royalty-free, non-exclusive, worldwide perpetual license to use the entry and his/her name, city, state, and country of residence for credit purposes in See.Me's online galleries, printed publications, or any other use on See.Me's website, without further compensation, notification, or permission, unless prohibited by law. In addition, each winner grants to See.Me and its designees an irrevocable, royalty-free, non-exclusive, worldwide perpetual license to use and distribute the entry (as submitted, or as cropped by See.Me), and his/her name, city, state, and country of residence for credit purposes, in any and all media now or hereafter known, for purposes of promotion of the Contest and other See.Me contests and/or for purposes of advertising and promoting See.Me and, except as otherwise stated herein, without further compensation, notification, or permission, unless prohibited by law.